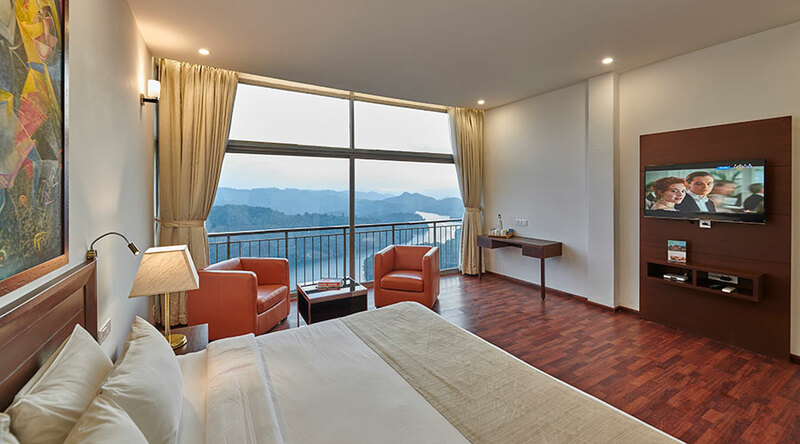 Walk into Raga Premier the best 5 star resort in Munnar, the magnificently appointed guest room in the most famous 5 star resort in Munnar, which almost stretches out into the skies. And you'll know what it is to be marooned in sheer nature. Raga Premier is the last word in uber luxury and refined taste. The attention to minute detail is evident right from the water bottle, kept in the room. Snug into the enveloping comfort of the king size memory foam bed in the cottage. The bathroom, flooded by natural light, is truly a study in class. Come to the lake-facing balcony and give in to the mystery of nature that opens out to you, as far as eyes can reach. Watch the wind in the lake driving ripples ashore. Or, as the kids get engrossed in their favourite channel, surprise your wife by unveiling the romantic in you. 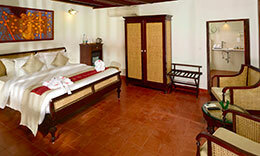 So, if you are looking for 5 star resorts in Munnar, Ragamaya Resort in Munnar would be a perfect choice.